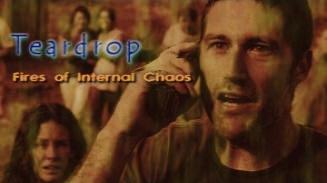 LOST Video Island - "Teardrop: Fires of Internal Chaos"
November 2007 contest 1st place winner! Lost Season 4 Possible Universe. Chronicles what happened to each Lostie after leaving the island, and how they would have all lived much better if they had stayed. I just watched this again for like the hundredth time! It always just Wows me! Please make more AUs!!! Thanks Nikki!!! hehe this was so fun to make because i would just do random things that could work like Kate shooting her mom and desmond seeing charlie! Im glad you like it though! I don't think many people were ready for the PU to come on the scene but you did a great job with it Trey! Can I please get the phone number of the guy at the end he's so hawt!! thanks Paul!!!! Im glad your back. No the guy at the end was too HAAWWTTT to have a number, because if he did, he would get like 900,000,000 calls a day! borislava- Thank you soo much!!!! Im glad you thought it was amazing! Thanks for commenting!!! I seriously appreciate it!!! Warren- WARREN COMMENTED!!! Thanks so much for watching this and commenting! I am so glad you approve!!! im glad ou liked Locke in the coffin. I never thought it was Michael just because he probably had friends and family where as Locke had no one which was evident in the scene. Thanks again! It means allot to me! Fascinating ideas! I love what you did with this vid - the Lost writers would be proud . A well-deserved win indeed! I absolutely liked yhe conversation between Locke and Jack....it was sooo real....and OMG Aaron!!!!! That was very, very clever and so well edited. You really deserved the first place for this. Congrats, hon!! ohh thanks so much Karolina!!!! i TOTALLY understand about being busy with school during christmas time!!!! Im glad you commented though!!! Im so happy you liked it!!! oh and Locke wasnt dead, he faked his death, i was trying to show like the inside of the coffin with the red, but it wasnt very effective. Im glad you liked it though!!! Charlie didn't drown!!!!!! Sayid and Nadia together!!!!!!! Please write for the show Trey, that was awesome!!!!! !